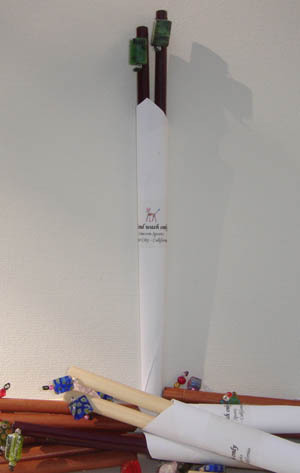 Each pair of matching chopsticks are wrapped in white paper. Pre-printed in black ink, the Unicorn Sports URL and UPC are listed on the wrap. 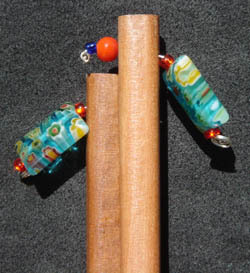 Chopsticks are easily taken out of wrapping and can be placed back inside for viewing tip configuration. Sets are available for purchase now at Whole Foods Stores in Palo Alto, and Los Altos, California. 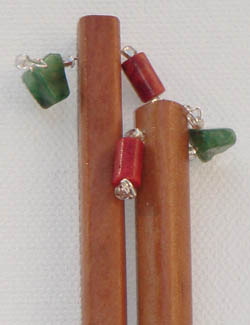 Matching sets from six to ten pairs are available upon request. 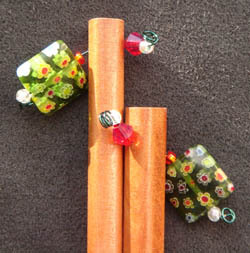 Check out link to see more design combinations. 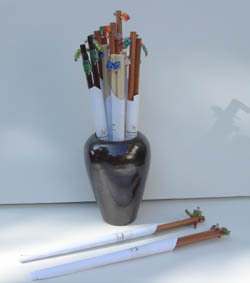 Chopsticks sold in retail outlets are displayed in ceramic or glass vase.